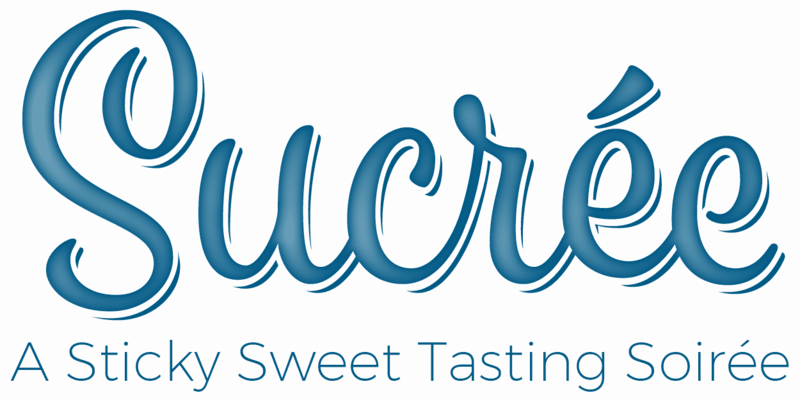 Sucrée is Gracie’s newest and sweetest dinner series. This pop-up, dessert-focused dining experience will certainly satisfy anyone with a sweet tooth! There are so many outstanding pastry chefs in and around Rhode Island, and we want to give our local pastry chefs an opportunity to shine in all of their sweet splendor. For each seasonally-inspired event, we invite some of the region’s most promising pastry chefs to create with us for an evening of signature dessert courses and perfectly paired libations! Past Sucrée events have featured Lori Kettelle of PVDonuts, Caitlyn McGuire of Ellie’s Bakery, Jennifer Luxmoore of Sin, and Adam Young of SIFT Bake Shop Mystic. We look forward to collaborating with many more of our talented colleagues as the series expands! Gracie’s Cooking Sessions is all about learning techniques from the professional kitchen which can be applied in your home cooking. We receive a lot of feedback from guests asking if we offer cooking classes. Well, we hear you and we want you to be happy! Each of these cooking sessions will have its own focus on specific lessons, techniques, and takeaways. Our culinary team will be your hosts for the evening. You will work hand-in-hand with our talented kitchen staff to plan and execute a 3-course dinner. Along the way, you will see cooking demos, learn techniques and cooking lessons, and get plenty of hands-on practice. We dine as a family. After dinner is prepared, everyone, including the chef and cooks, will sit down in our dining room to enjoy the fruits of your labor. Each course will be served with its own wine pairing, and our wine savvy service staff will be there to answer any food and wine pairing questions you might have. Learn, cook, eat, and drink with our passionate team! Sorry, you cannot purchase more tickets than are available. Please try again! Join us as we celebrate the peak of summer with one of our most popular Cooking Sessions classes: Handmade Pasta! Pasta enjoys a regular spot on our menu in varying shapes and forms, and is a delicious dish that you can make from the comfort of your kitchen year-round! In this class, which culminates with a 3-course seated dinner paired with wine, the Gracie’s kitchen staff will introduce you to seasonal summer ingredients and the best pasta cooking techniques to highlight those ingredients in their prime. Along the way, you’ll learn that handmade pasta is much easier to make than you think. We’re going to teach you the lessons and techniques to make delicious handmade pasta with artistry and ease! Gracie’s Cooking Sessions make the perfect gift for that special foodie in your life. If you’re that special foodie, treat yourself to an experience that is sure to make you shine even brighter in the kitchen. It makes for an unforgettable date night or bonding experience, too! Learn the skills and secrets of classic French cuisine in this new Cooking Sessions class. Under the guidance of our kitchen team, you will learn to prepare a sumptuous meal that employs a variety of French cooking fundamentals and techniques. Participants will leave with a sound grasp of French culinary basics that will give them the confidence to apply these skills in their own kitchen! Embark on an evening of cultural and culinary education led by two of our Jewish chefs, Josh Berman and Jordan Fleischer. Learn about the origins of traditional dishes and customs and explore how historic cooking techniques can be adapted for use in your modern-day cooking repertoires. Participants will leave with a sound grasp of Jewish culinary basics that will give them the confidence to apply these skills in their own kitchens! Bringing people together and creating lifelong memories over exceptional food is the premise on which all Gracie’s endeavors are based. Naturally, this inspiration has guided us into the exciting world of culinary tourism—and you’re invited! Whether you’re a seafarer or road-tripper, our culinary adventures offer something for everyone. These intimate excursions merge cultural tourism with our team’s unparalleled industry skill and knowledge to create a foodie’s ultimate dream vacation! Be a part of our inspiration and explore some of the world’s most significant dining destinations with those in the know. Join Wine Director and Sommelier, Alan Freudeman of Gracie’s Providence, on a 5-star all-inclusive river cruise from Portugal to Spain along Portugal’s Douro River. Enjoy this 8-day voyage aboard the luxurious 96-passenger Scenic Azure as you explore the culinary, cultural and wine regions of the Douro Valley, one of the oldest wine growing regions in the the world. We will also be offering an optional 3-night pre-tour in the stunning capital city of Lisbon, Portugal. In recent years, Lisbon has earned the moniker “the new culinary capital of Europe.” Join us as we explore the culinary and cultural vibrancy of this amazing city. BOOK YOUR CABIN BY MARCH 31, 2019 AND RECEIVE $500 OFF PER PERSON. For more information about this fabulous luxury river cruise or to make a reservation, contact Lori Seeley at 941-312-2584 or email: lori@innovativetravelconcepts.com. If you know anything about Gracie’s, you know that we never miss an opportunity to celebrate—and New Year’s Eve is one of our very favorite occasions! This year, we will also be observing the 19th anniversary of Gracie’s opening on New Year’s Eve of 1998, making this an extra special affair. 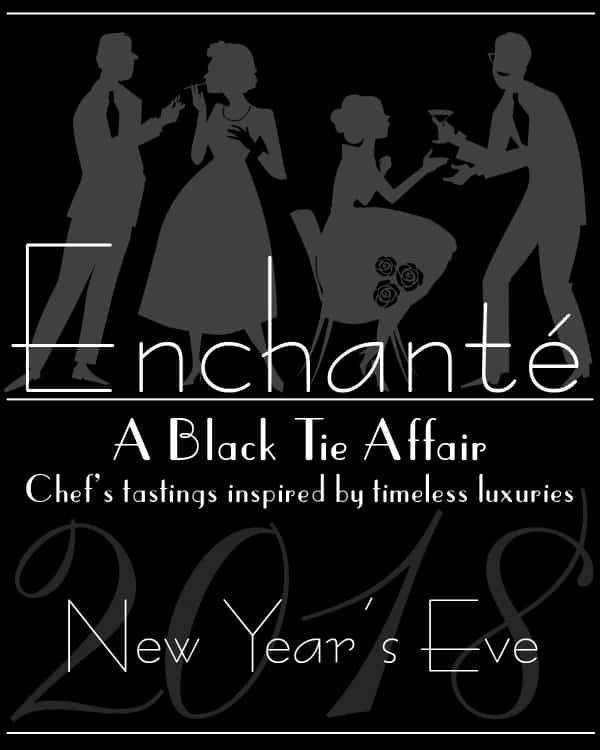 While NYE typically marks the passage of time, this year’s event will be a truly timeless celebration, featuring all of the exquisite and elaborate luxuries that one dreams of enjoying on New Year’s Eve (or at least, that Chef Matt dreams of enjoying on NYE! ): think truffles, oysters, caviar, sweetbreads, scallops, Wagyu beef, and more enjoyed amidst an enchanting backdrop of sparkling *crystal moments* to the tunes of a three-piece jazz band all the way from the Big Apple! On this particular evening, we will be exclusively offering our signature 5, 7, and 9-course chef’s tasting menus, with the option for varying choices within each course. As always, tastings may be paired with wine for the complete Gracie’s experience. Reservations are required and can be made by calling 401-272-7811 or by visiting GRACIE’S RESERVATIONS. We will be taking reservations from 5–10:30pm. Black tie attire is encouraged. This is sure to be a spectacular night of live music, plenty of bubbles, and, as always, sensational food. Let Gracie’s take care of you one last time in 2017! How to Create An Unforgettable Experience, Leave Lasting Impressions with your team, and Outshine the Competition. ‘Beyond the Dinner Table’ is a culinary experience, wine tasting, along with a discussion. It’s an excellent ice-breaker for a newly formed team, and a way to learn about each other beyond work titles & duties. The leadership team at Gracie’s takes you on a journey. Re-energize with your team. Sharing an intimate meal together is the best way to break preconceived notions about the people you work with, celebrate the successes, and bring your team closer together. We strive to stay connected to the community by participating in exciting local events outside Gracie’s and Ellie’s. Please check back periodically to see what our beautiful state has to offer in the way of food & beverage happenings.